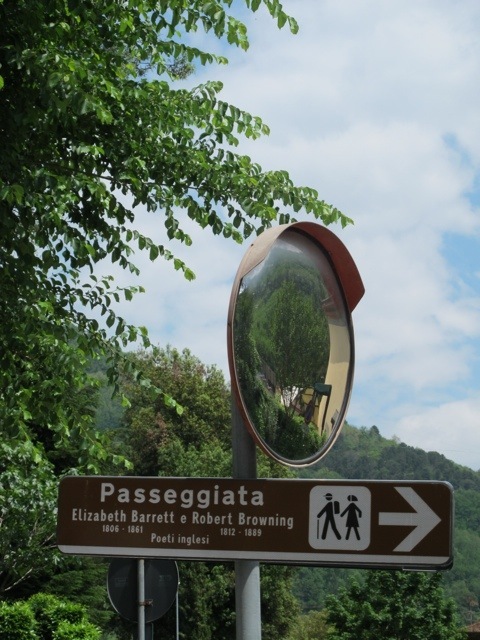 Beside the Lima River at La Villa is the lovely walkway dedicated to the English poets, Elizabeth Barrett and Robert Browning, who spent a few summers in Bagni di Lucca in the 1800s. The path was created from the drainage channel of an ancient millpond. 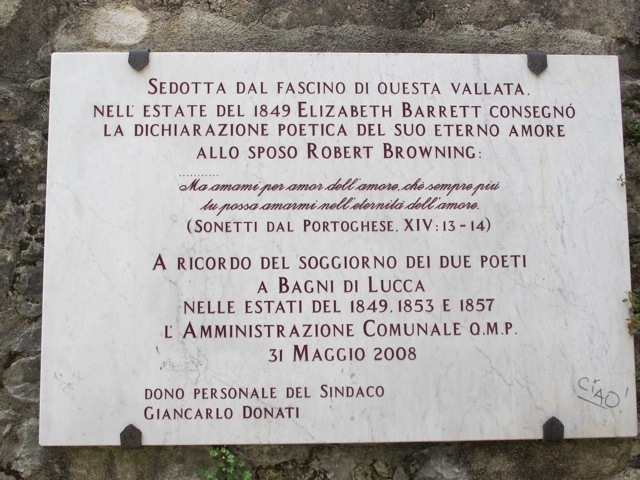 The 2 English poets wrote some of their sonnets during their visits to Bagni di Lucca in 1848, 1853 and 1857. The walk was dedicated to the pair in 2008. 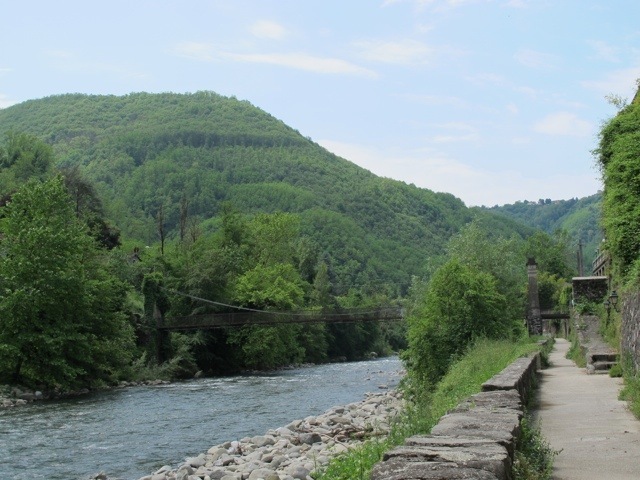 You can find an entrance to the walk near Conad, where you see the sign beside the road. 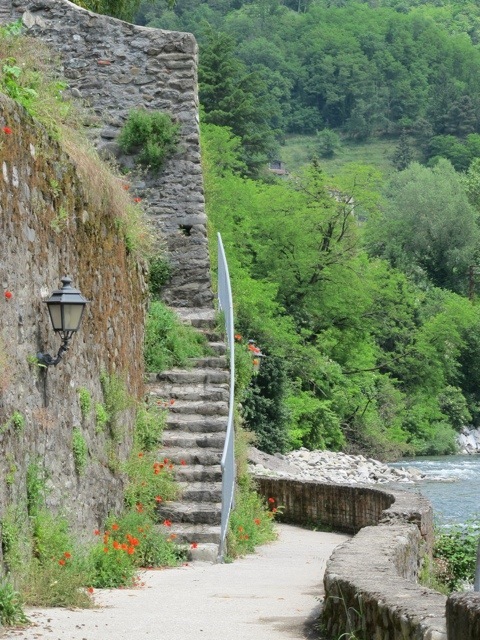 There is a path to the walk beside the Teatro Accademico, where there is also access to the pedestrian bridge. It is possible to enter the walk from a couple of places at the other end of La Villa as well. 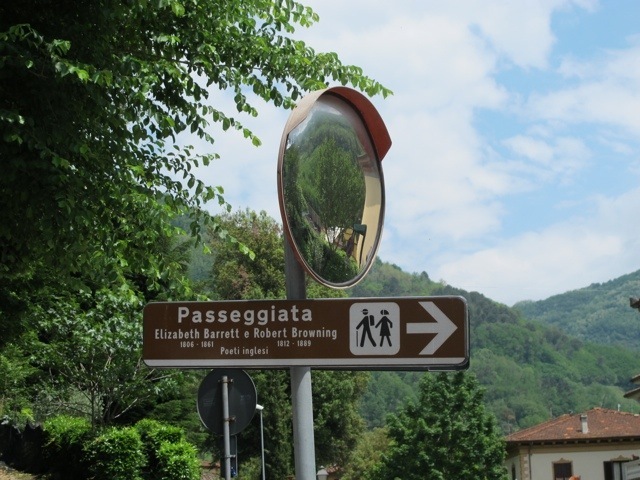 This entry was posted in The villages of Bagni di Lucca, Things to see and do and tagged Bagni di Lucca, Elizabeth Barrett, La Villa, passeggiata, photography, Robert Browning, travel by Debra Kolkka. Bookmark the permalink. I’ve always meant to walk along this path. Now I really must do it. Thanks, Debra. It doesn’t take long, the weeds have grown like mad, it needs a trim. It is a fun thing to do in La Villa. 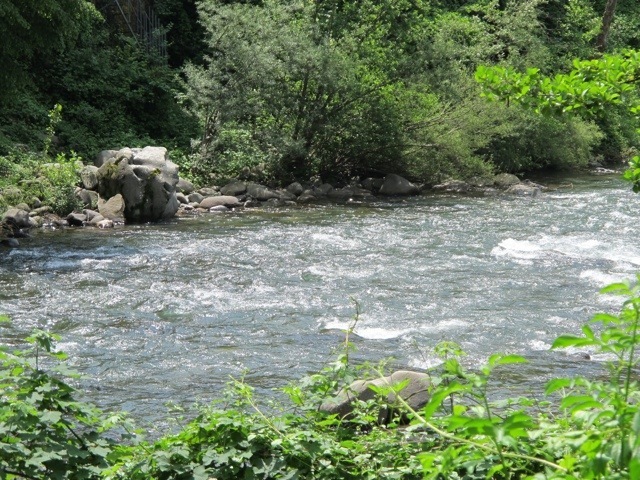 I love the sound of the water over the rocks. This brought a tear to my eye Debra. 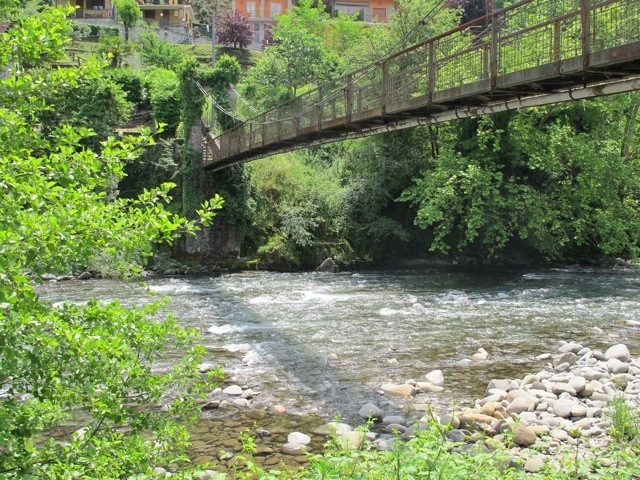 It would be good if they could continue the path all the way go Ponte a Serraglio. I took those photos this morning when I went up to the market to buy some food. Love the pics with the poppies, they may be weeds but lovely ones! 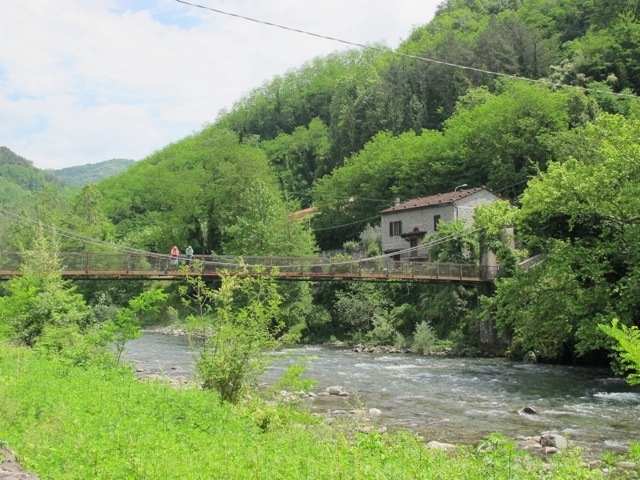 It would indeed be fantastic if they continued the path to Ponte, or even better onto Fornoli. 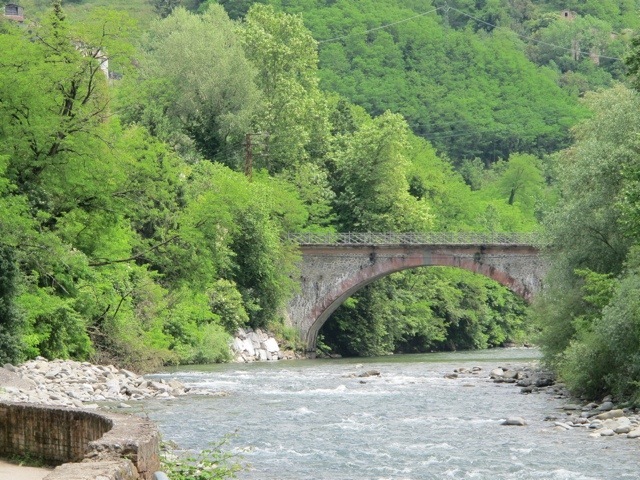 Or better still, all the way to Ponte Della Maddalena. Barrett and Browning…YEAH!!! Gorgeous walking path. It could do with a bit more maintenance, but it is lovely to walk so close to the river. I hope we catch up for a coffee at Il Monaco. Perhaps they did…..what a lovely thought. You continue give me reasons to visit. Thanks! 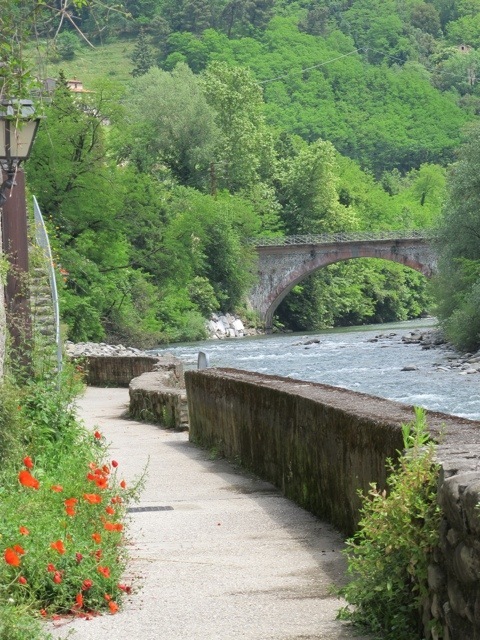 There are lots of good reasons to visit Bagni di Lucca. This looks so romantic! I want to go there. I dont know why but Ive been missing your post, they are not coming up in my feed. Wait … did you change everything? I don’t know why you have not been getting my posts. I have occasionally been dropped off someone’s blog by mistake. Ah, what a lovely post to tell me about Elizabeth and Robert! I felt as if I walked the same path. Thank you. Your blog is fascinating. It is a path I often take.